The Swiss taxation system, legislative order, financial and economic systems have long been the standard for the whole world, and, as a consequence, the service of registration of companies in Switzerland is prevalent among non-residents. The process of business registration in the territory of Switzerland does not take much time, but involves certain legal difficulties. The experts of Law & Trust International offer professional assistance in filling out forms, preparing constituent documents when registering companies in Switzerland. The objectives of establishing company in Switzerland are determined by the founder, and the selection of the organizational and legal form should be made using support of the specialists in this matter. A number of requirements that are imposed on both registration of offshore company in Switzerland and its further activities depends on the form of incorporation. 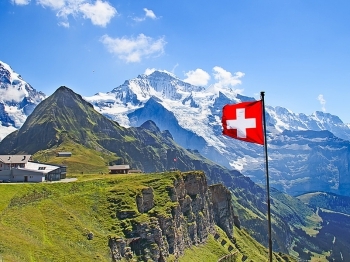 Switzerland consists of 26 cantons, each of which has its own legislation regarding the establishment of new companies. Taxation of companies in Switzerland is carried out at the municipal, cantonal and federal levels, the final interest rate can be considerably high, so that non-residents and local citizens should focus on the registration of offshore companies in Switzerland. The most cost-efficient for this procedure are the cantons of Zurich and Zug. The composition of the Board of Directors can consist of several people, but one of the participants shall be the resident of the country. There are no requirements concerning the citizenship of shareholders or investors. The authorized capital of the company can not be less than 20 thousand in local currency. When registering company in Switzerland, the capital shall be contributed before the moment of submission of the constituent documents. Independent audit of the limited liability companies is not mandatory, but the company shall submit annual reporting forms filled in according to all the rules of the canton’s jurisdiction. All directors, shareholders and participants of the management are appointed by the founder. Employment for the post of the director of one resident of Switzerland is required. The citizen of the country shall be the natural person, but is entitled to finance or act as the shareholder in other companies. The registration of company in Switzerland in the form of AG requires contribution of the authorized capital in the amount from 100 thousand to half a million of Swiss francs. The indicated amount is paid immediately after the establishment of the business. The authorized bodies shall receive annual report concerning maintenance of bookkeeping, as well as regarding turnover and income of the company. Independent audit is assigned individually, and the more employees are in the workforce and the higher is the level of turnover, the more likely is the assignment of the audit. Registration of business in Switzerland in accordance with this form is relevant for the extension of already existing business. Its founder is the head office of the company, and there are no requirements regarding the authorized capital. The mandatory requirement is that one of the participants of the management shall have permanent place of residence in Switzerland. Submission of reporting is necessary, but the audit is assigned only for the branches conducting certain types of activities. All details on the company's registration in Switzerland can be clarified with the specialists of Law & Trust. More efficient process of establishment requiring the collection of considerably smaller documentation package. There are no state fees, and the level of tax rate is much lower than for the new company. The company's income received abroad and in the territory of Switzerland will not be taxed, if the head office of the founder is registered in the country with which Switzerland has agreement on preventing double taxation. The citizen of any country can register company in Switzerland. If the founder establishes company, but does not reside in Switzerland, he will need constant legal assistance. The availability of representative with actual address is mandatory, and it is possible to send company correspondence or personal information for the founder from local partners to this address. The non-resident’s company is also registered at certain legal address, which is indicated in all accompanying documentation. The lawyers of Law & Trust offer clients all the services necessary for successful registration of company in Switzerland. At the preparatory stage, we carry out free consultations, analyze the current status of the applicant's company, and help with filling in the forms. The collection of documentation and its submission to the registrar is performed by the client's authorized representative from among the lawyers of our company. After successful business registration in Switzerland, we offer legal and accounting support. All details are available on the website or can be specified during personal consultation with the expert. Executive authority Head of government: President. Government: Federal Council elected by the Federal Assembly usually from among its members for 4 years. Prices include all professional and official fees. If the change of official duties or exchange rates prices may vary. 23.11.2018 Is it possible to bring celebrities to responsibility? 23.03.2018 Which bank to choose for opening an account abroad? 20.09.2017 Is it possible to launch and run ICO startups that do not lead to legal, tax and reputational risks? 29.12.2016 The Organisation for Economic Co-operation and Development (OECD) published Multilateral treaty, which will help to deal with Tax evasion. 18.01.2016 Покупка иностранной недвижимости и сопутствующие визовые льготы.